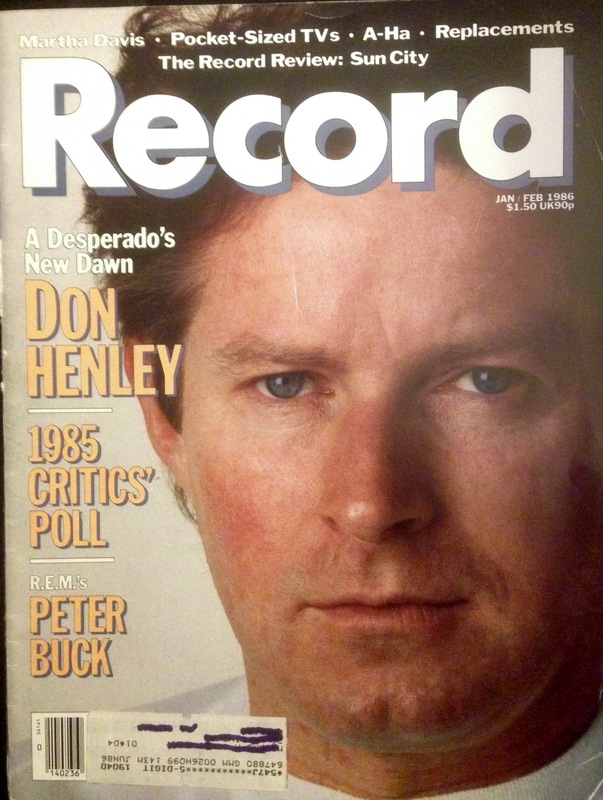 This is the last issue that I have of Record magazine. Whether this was the last issue, I do not know, though that’s my hunch – the mailing slip lists my subscription’s end date as June 1986, and I can’t imagine I would’ve tossed those issues out. 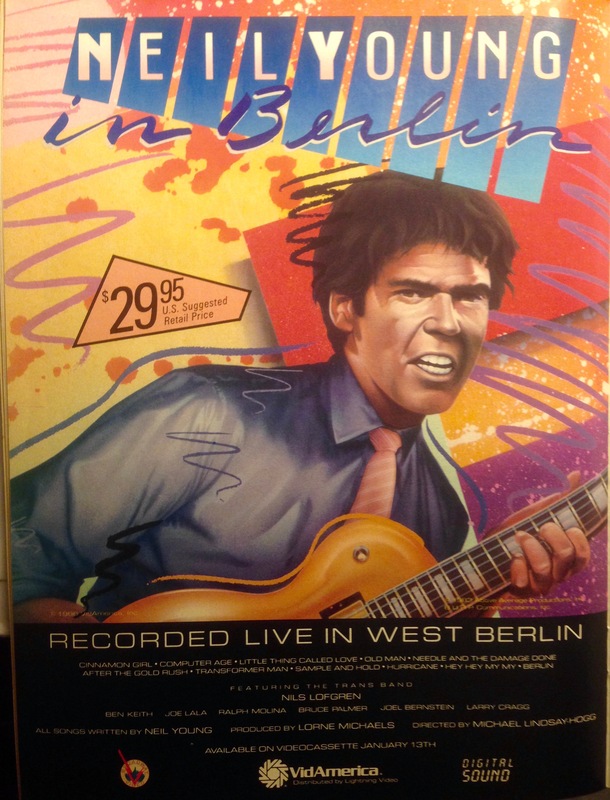 (I was something of a packrat when it came to anything music-related. I still am, though less so.) Anything is possible, though. Anyway, by the time I received this issue in the mail, I was 20; and starting my second semester at the Penn State mothership. An English major with an emphasis in Creative Writing: that was me. I was also a deejay, though I was not all that I played; as I’ve written elsewhere, I was one of the rotating hosts on the Folk Show, which aired on the student-run WPSU-FM. “Folk,” on my twice-monthly stints, had a rather broad definition, especially when in my preferred 6am-10am Saturday- or Sunday-morning slot; I played everything from stereotypical folk music (Pete Seeger, Arlo Guthrie, Holly Near) to the Fugs and even Elvis Costello circa Almost Blue. 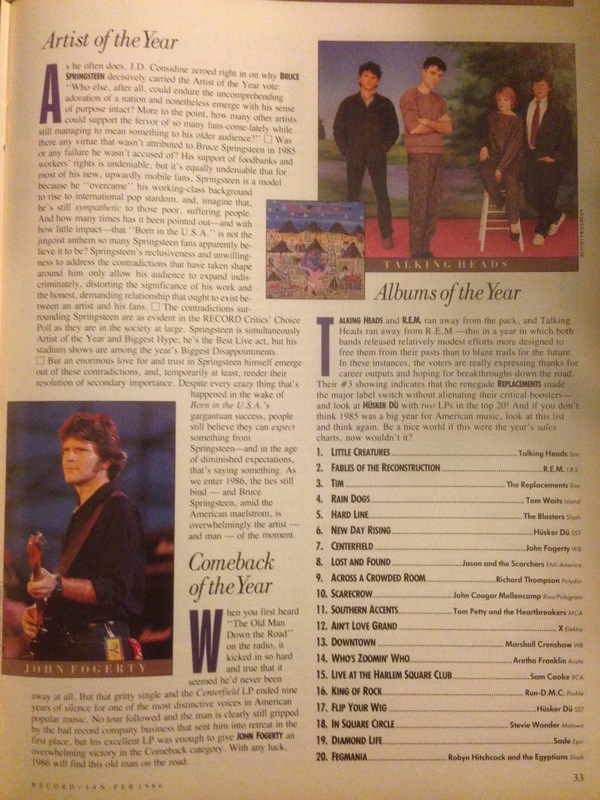 “A Good Year for the Roses,” which I discovered via a listener request, became a semi-staple for the rest of my days on the air. Another semi-staple: Neil Young’s haunting rendition of “Home on the Range” from the Where the Buffalo Roam soundtrack. A few months back, thanks to a gift certificate our friend Luanne gave me to HDTracks, I picked up (i.e., downloaded) the high-res reissue of Born in the U.S.A. Not a five-star album, but one that – like Building the Perfect Beast – has its moments, many of which were released as singles. 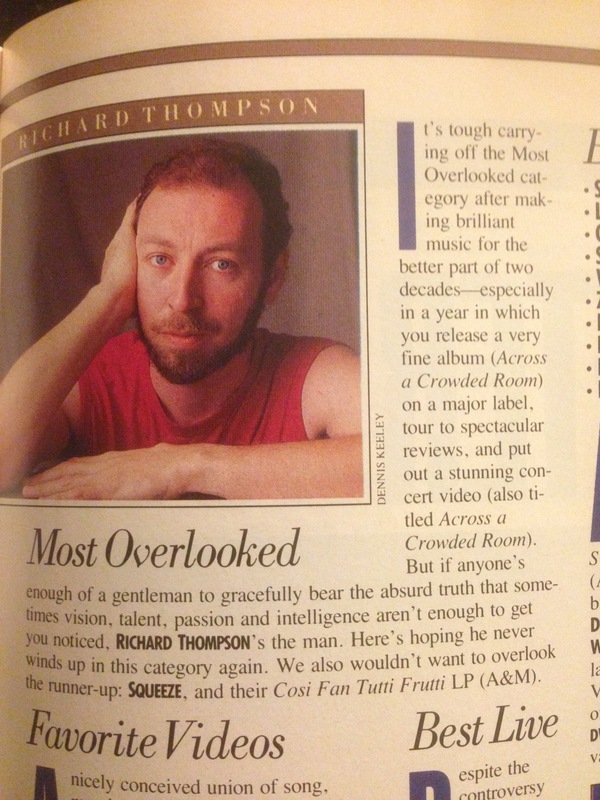 (In fact, seven of its 12 songs became Top 10 hits.) “My Hometown,” especially, resonates with me now in a way it didn’t back then. 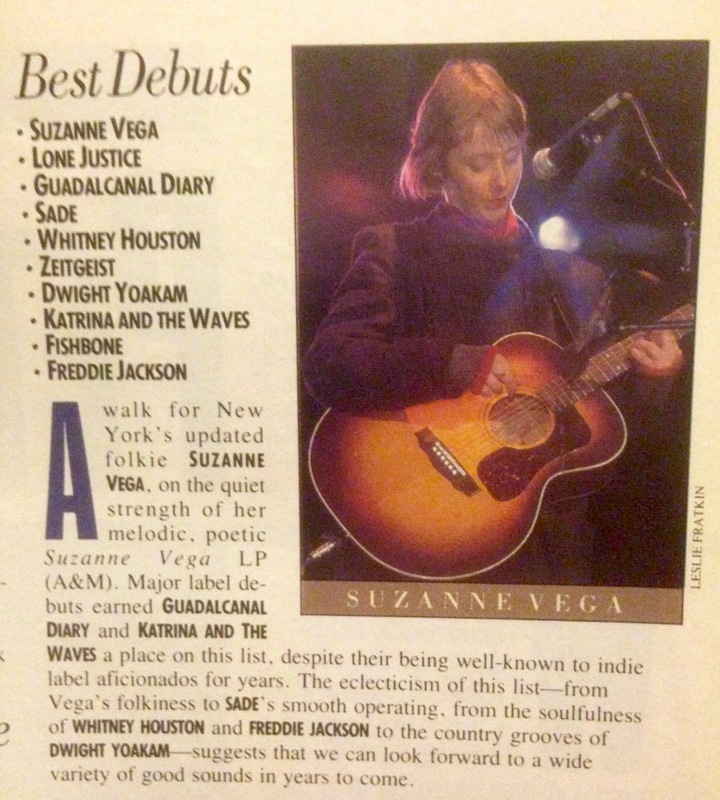 3) Suzanne Vega – “Marlene on the Wall.” “A walk for New York’s updated folkie Suzanne Vega, on the strength of her melodic, poetic Suzanne Vega LP,” says the Best Debuts paragraph in the Critics Poll. I first heard Vega when I played this song on the air early one morning; a fellow Folk Show deejay recommended her at a staff meeting, I think. The other artists singled out: Lone Justice, Guadalcanal Diary, Sade, Whitney Houston, Zeitgeist, Dwight Yoakam, Katrina and the Waves, Fishbone and Freddie jackson.